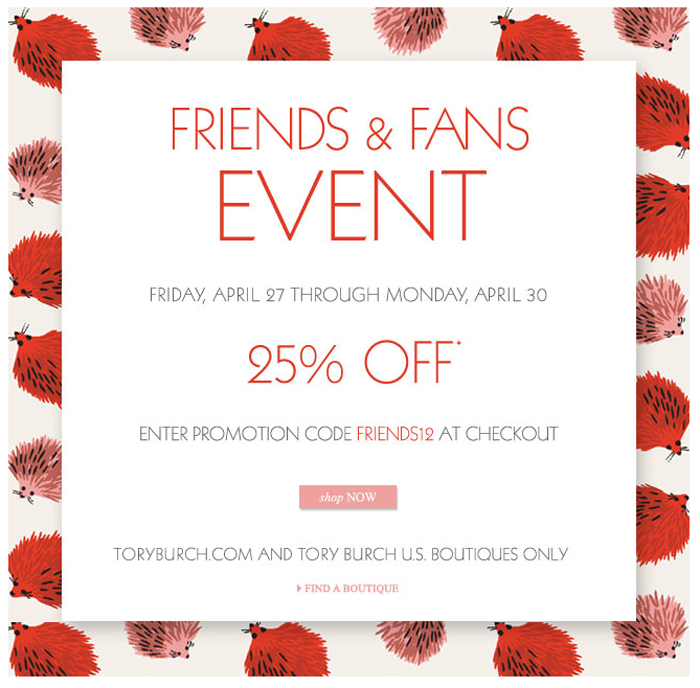 Tory Burch is having her Friends & Fans Sale this weekend! From now until Monday, you’ll receive 25% off any purchase in stores or online. Just enter FRIENDS12 at checkout. Start shopping right here.